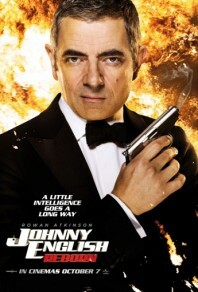 Johnny English Reborn out on 7th October! The one thing that’s certain is that he’s very funny and Rowan Atkinson once again plays the most unlikely intelligence officer in Her Majesty’s Secret Service in the brand new film Johnny English Reborn. We were big fans of the first film and by the looks of the trailer below, it seems like Johnny English Reborn will be carrying on things right where they were left!